The long and steady attendance on the market for more than 30 years is the best warranty for the Customers worldwide. 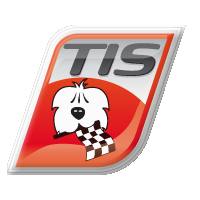 For years TECNOMOTOR works in the branch of the Exhaust Gas Analysis, Engine Diagnosis, Air Conditioning Recharge Units, TPM (Tire Pressure Monitor) Sensors Diagnosis, and mostly in the Electronic Diagnosis fitted on-board of all the kind of the Vehicles (SOCIO for Cars, Motorbikes, Trucks and Commercial Vehicles). TECNOMOTOR was born in Parma (Italy) in 1985. 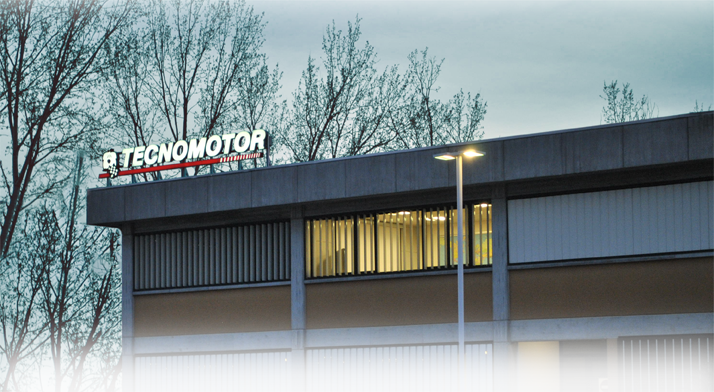 In Dec. 1993 Tecnomotor was acquired by Nexion group. Nel gruppo Nexion sono presenti aziende che progettano, producono e distribuisono attrezzature per il servizio di after sales dei veicoli. Le aziende principali del gruppo Nexion sono: Corghi, Mondolfo Ferro, Sice, HPA-Faip, Teco. First parzial flow smokemeter designed and homologated in Italy. By a little probe introduced into the exhaust was be took only a little part of the total flow This innovative solution combined allowed the reduction of the size of the smokemeter. In addition to this, the electronic board has permitted to print the data with internal printer, check the calibration before every check, etc,. 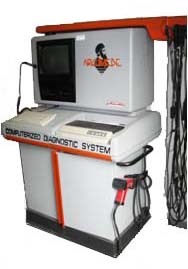 Electronic system analyzer working with T-connection cable. Fully managed by microprocessor, it was provided of 100 presetted program in order to test sensors, actuators and others components under static and dinamic mode. First engine tester PC based . With 14" colour monitor, printer and optical pen, it has been developed to perform automatically the most important test on cars. 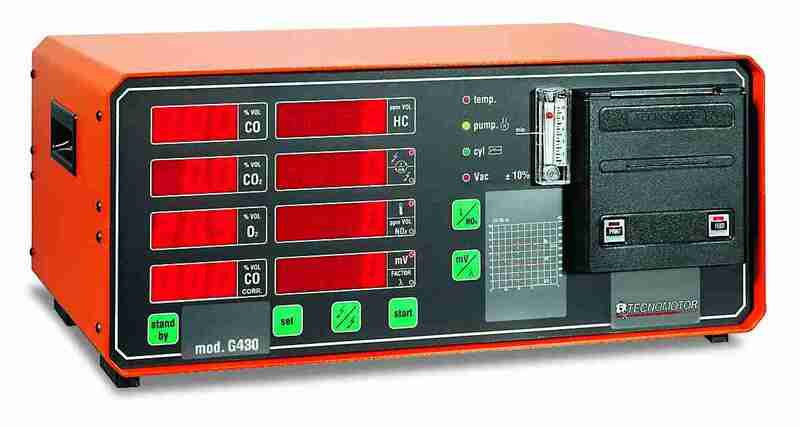 Archimede has been designed to test ignition and injection systems , exhaust emissions, cilynders balance, electronic schemas and test on the most important components of the electronic systems. First gas analizer with electronic board to manage main operation, with double pumps (sample gas and water drain) and facilities for hand up HC test, leak test and automatic calibration. 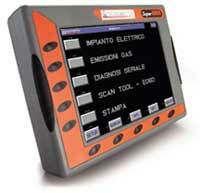 It was provided of OIML Class 0 gas bench manufactured by Sensors Inc.
First Multibrand Diagnostic Tool on Italian market. 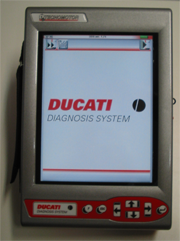 The same platform was used by Ducati to realize the first Ducati official tester. Working with a simple function keys it was provided of upgradable memory card containing the complete brands data base and with the possibility to be updatable with the periodical autodiagnosis updates. 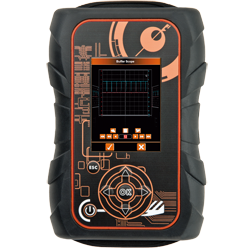 First tool integrating multimeter/scope with autodiagnostic. In the market is well known also with Diascope name. Today, after 13 year from the launch on the market, Amico is updated with the new protocol for the new ECU. 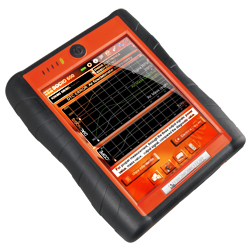 First diagnostic tool with touch screen, ARM processor and Linux operating system upgradable directly by Internet website. Socio 700 supports the most important protocols available. It is able to communicate with cars, motorcycles and trucka and to use bluetooth technology to work with remote diagnostic module. In 2003 born also Socio 310 first diagnosis tool in Europe that use the PC as display by bluetooth communication. P2006: TPM-01. 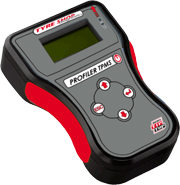 First European tool to make diagnosis of TPMS sensor. The tool active in Low Freequancy the TPMS sensor with OOK modulation. When the sensor is activated transmits in Radio Frequency pressure, temperature, etc. This data is read and show on the display to check if the sensor works properly. The increasing use of electronics in the automotive industry has introduced dramatic changes in vehicle servicing procedures, as operators need to interact with several different onboard electronic systems throughout the servicing process. Pokayoke has been designed for direct use, with its Repair Cost Estimate, Servicing, Vehicle Delivery features. A platform with the goal of making work easier, offering a series of “guides and paths” that are differentiated depending on the type of defects discovered in the workshop, making repair and maintenance precise and accurate. TECNOMOTOR is a Company of primary relevance in the Diagnostic Garage Equipment market with a long tradition of success of the technical and advanced solutions address to the User interacting with the vehicle’s electronic and verifying the impact of the exhaust gas stream on the environment. Thanks to a great teamwork, the most important target of the Company is to aim to obtain the most profitable, easy and useful products according to the market demands, thanks the steady talks and feedback with the Customers. The corporate vision expresses the Company’s willingness to be world leaders in the design, production, sales and assistance of equipment for tyre specialists and auto repair shops, by offering a complete line of products with excellent qualities, featuring innovative and competitive characteristics, across all the market segments in all major geographical areas. The present Code of Ethics contains the main principles that reflect the way in which the Company means to conduct its policy and the way the administrators, statutory auditors, executives and every employee, collaborator, official or supplier should conduct themselves. The rules set forth in this document are designed to ensure compliance with the provisions of all applicable statutes and to promote ethical and fair behaviour among all Company Stakeholders and among all those who, for any reason, perform work on behalf of the Company, even if only occasionally, particularly in view of the impact of Legislative Decree No. 231/2001. This Decree introduced to the Italian legal system a novel form of quasi-criminal liability for companies that benefit from criminal activity perpetrated in their interest and for their benefit. The Decree also established a system of penalties that is particularly severe for companies that are found guilty, but at the same time provides that the adoption of a Code of Ethics within the framework of an Organization, Management and Control System can perform a beneficial shielding function. by conducting a review of its internal organizational processes,starting with the areas that present the greatest risk, to establish an Oversight Entity to control and monitor the Model, and to adopt this Code of Ethics, compliance with which must be viewed as an integral part of the contractual obligations undertaken by all Company Stakeholders (managers, employees, employees, suppliers and customers). In conclusion, this Code of Ethics is designed to serve as a reference point for all those who work on behalf of TECNOMOTOR and are therefore required to conduct themselves in accordance with the principles of fairness and honesty. The present Code of Ethics draws upon the document "Mission, Vision and Values of Nexion group"
A company’s values represent its promise to the market, to the shareholders and to the people. The Company’s ethical principles, business practices, communication style, as well as the behaviours of its managers and collaborators, reflect these values. TECNOMOTOR’s values are the values of its founders: they have been around and have been visible ever since TECNOMOTOR was established and they have always been an important part of its success. It is necessary for these values to continue to exist and to be disseminated through daily actions. Our behaviour is based on correctness, honesty and impartiality, both from inside and outside. We respect people and give anyone a chance to express their own potential. We are able to listen to people, communicating with them frankly and informally, we are flexible and respect the rules. We want to be innovative in product, process and service solutions to be proposed to our customers, suppliers and employees. Each of us always gives their best to make their contribution to business success because driven by a passion for their work and because we prefer the substance to the form. We are proud of our history and to operate within a Group producing results, respecting environment, people and acts to ensure customer satisfaction. When necessary we know how to suffer to reach common objectives. 1) In the performance of their duties, all Company Stakeholders, as defined above, must behave toward colleagues and outsiders in accordance with the principles of fairness, good faith, transparency, trustworthiness and loyalty. 2) No Company Stakeholder shall offer money, goods, services or benefits of any other kind, either on behalf of the Company or personally, to employees of or persons contracted by individuals, companies or institutions for the purpose of inducing, rewarding, preventing or otherwise inducing them to perform anyaction that would be beneficial to the Company. 3) No Company Stakeholder may solicit or accept money, goods, services or benefits of any other kind from suppliers or customers in connection with his or her job, personally or for any reason related to the Company’s operations. 4) The provisions of Paragraphs 2. and 3. above apply to all transactions with individuals, companies and private and public entities in Italy and abroad. 5) As an exception to the provisions of Paragraphs 2. and 3. above, small gifts and personal favours are allowed when they are consistent with local custom, unless they are prohibited by law. Such exceptions must be expressly authorized by the Oversight Entity. 6) No Company Stakeholder is authorized to provide financial support or contributions to political parties or organizations or to candidates for political office on behalf of the Company. 7) In accordance with the trustworthiness and loyalty obligations referred to above, all Company Stakeholders must refrain from carrying out any activity or pursuing any interest that may be in conflict with those of the Company. 8) All Company Stakeholders must refrain from divulging or using for personal profit or the profit of outsiders confidential news and information pertaining to the Company’s operations. This requirement is especially important because the assurance of confidentiality is a key asset of the Company in its dealings with customers. 9) The activities forbidden in Paragraphs 2., 3., 6., 7. and 8. may not be pursued indirectly (through family members, consultants or an intermediary). Moreover, any other guise (e.g., sponsorships, assignments, consulting arrangements, advertising contracts) that is used to achieve the same objectives as the activities forbidden in Paragraphs 2., 3., 6., 7. and 8. is also prohibited. 10) Any Company Stakeholder who is asked to engage in or becomes aware of activities such as those that are forbidden in Paragraphs 2., 3., 6., 7. and 8. must immediately inform the senior managers of the company where he or she works or contact the Oversight Entity. Mondolfo Ferro S.p.A.'s essential principle is to observe the laws and regulations in force in every country it conducts business. All Company’s employees must comply with all applicable laws, rules and regulations of the country where business is conducted. This shall also be true for the consultants, suppliers, customers and anyone who has a relation with the Company: the latter shall neither commence nor continue any relationship with whoever does not intend to comply with this principle. TECNOMOTOR employees must be acquainted with the laws and relevant behaviours; should there be any doubt about the course of action, the Company shall adequately inform its employees. To this end, TECNOMOTOR shall conduct an adequate programme for the training of its employees and the continual promotion of their awareness on the issues of the Code of Ethics. Every deal and transaction must be accurately reported, authorised, verifiable, legitimate, consistent and congruent. All TECNOMOTOR actions and operations must feature the registration of the decision-making process and its development. Appropriate supporting documentation must be available for each transaction so as to guarantee that, at any moment, the controls that verify the characteristics and the motivations of the deal may be conducted and who authorized, undertook, registered and verified the deal may be identified. In conducting relations with the Public Administration, it is prohibited to offer cash or gifts to any Public Administration directors, officials or employees or their family, Italian or foreign, provided the gifts are of modest value, and as long as they conform to local customs and are not prohibited by law. Illicit payments made directly to Italian authorities or their employees and illicit payments made through persons who act on behalf of these authorities in Italy or abroad are considered acts of corruption. It is prohibited to accept any object, service, performance or valuable favour in exchange for special treatment in relation to any relationship entertained with the Public Administration. In business dealings, requests or relationships with the Public Administration, company personnel must never attempt to inappropriately influence the decisions of the counterparty, including the decisions of officials who deal with or make decisions on behalf of the Public Administration. In the specific case of contracts with the Public Administration, employees and collaborators must comply with the law and commercial best practices. If TECNOMOTOR uses a consultant or another third party to represent it in its relationships with the Public Administration, the contract that regulates the relationship between the parties – with the consultant and his or her personnel or with the third party - must include a provision stating that the same directives apply to the employees of the Company. In business dealings, requests or relationships with the Public Administration, the following actions shall be avoided: offering or giving gifts; requesting or obtaining confidential information that can compromise the integrity or the reputation of both parties. In addition, TECNOMOTOR must not be represented by a consultant or other third party in relationships with the Public Administration if this creates conflicts of interest. Preventing the public regulatory authorities from performing their functions (Article 2638, Sections 1 and 2, of the Italian Civil Code). Company Stakeholders may not engage in, cooperate in or cause others to engage in conduct that, while not capable by itself of causing one of the criminal violations listed above, has the potential of doing so orcould be conducive to the occurrence of such criminal violations. i) Giving employees appropriate instructions. The entire company, both at top management and operating levels, must comply with these principles, particularly when decisions must be taken or choices made and, subsequently, when they must be implemented. In the course of their work, all Company Stakeholders must avoid all conflicts of interest situations and any activity in pursuit of an interest different from that of the Company or through which a CompanyStakeholder may obtain a personal advantage or generate business opportunities for the benefit of outsiders. Any Company Stakeholder who believes that he or she is in a situation in which his or her personal interest (directly or for the benefit of outsiders) is in conflict with the interest of the Company mustinform as quickly as it is practically possible the senior managers of the company where he or she works or contact the Oversight Entity, it being understood that such situations are governed by the specific provisions of this Code. Corporate Stakeholders and other persons or entities that have an objective ability to influence the choices made by the Company must avoid at all costs using, even implicitly, their position to influencedecisions for their benefit or the benefit of relatives, friends and acquaintances, doing so for personal reasons, whatever these reasons may be. Any issues that are not expressly covered by the preceding articles shall be governed by the provisions of the applicable statutes. This Code of Ethics is addressed to all Company Stakeholders without exception and to all those who, directly or indirectly or on a permanent or temporary basis, enter into relationships or transactions withCompanies of the Group and work toward the Company’s objectives. Each Company Stakeholder is required to comply with this Code of Ethics, since such compliance is an issue of fundamental importance to the pursuit of an ethically responsible manufacturing model. Mondolfo Ferro S.p.A. Company Stakeholders are expected to be familiar with the provisions of this Code, to refrain from conduct that is contrary to its provisions, to contact the Oversight Entity for clarifications and to report violations, cooperate with the departments responsible for investigating violations and avoid any behaviour that could prevent their counterparts from becoming cognizant of the existence of this Code of Ethics. In all business transactions, the counterpart must be informed of this Code’s rules of conduct, which they are expected to abide by. Violation of the rules of conduct set forth in this Code of Ethics, in addition to triggering the implementation of the system of disciplinary actions provided for in the Organization, Management and Control Model, could jeopardize the bond of trust that exists between TECNOMOTOR and the Company Stakeholder responsible for the violation andproduce legal consequences with respect to his or her relationship with the Company. Compliance with the rules of conduct of this Code of Ethics is an essential part of the contractual obligation of every employee pursuant to Article 2104 of the Italian Civil Code. TECNOMOTOR and its Company Stakeholders are committed to cooperating with the judicial authorities in fostering the development of a corporate culture that is characterized by an awareness of the existing system of oversight and developing a mentality that is oriented toward the exercise of control. Mondolfo Ferro S.p.A. is also committed to expand and update this Code of Ethics in order to make it consistent with changes in civil society and in the statutes that have relevance for the Code. In particular, management is required to comply with this Code of Ethics when it proposes or carries out projects, activities or investments on behalf of the Company, and the actions of the members of the Board of Directors in defining the Company’s objectives must also be inspired by this Code. As a matter of facts, those who occupy positions of responsibility within TECNOMOTOR (so-called top management) are expected to provide an example for the employees, to encourage them to abide by the Code of Ethics and to foster compliance with its rules of conduct. Furthermore, they are required to communicate to the Oversight Entity all useful information about control failures, suspect behaviour etc., and change their Department’s control systems in accordance with the instructions provided by the Oversight Entity. Expressing binding opinions regarding the need to revise the Code of Ethics and significant Company policies and procedures in order to make them consistent with the Code. Mondolfo Ferro S.p.A. applies the principles set forth in this code to its relationships with its “stakeholders", intended as those parties that become in contact with the Company and have an interest in its operations and should therefore be respected and valued. This section covers shareholders, employees, customers, community and market. In its relations with its shareholders, TECNOMOTOR is committed to ensure equal conditions to all its shareholders, avoiding using favouritism. In conducting its entrepreneurial activities, TECNOMOTOR acknowledges that its collaborators and employees have an essential role in the Company, it promotes the establishment of relationships based upon trust, loyalty and equal opportunities and gives value to every person’s professionalism. TECNOMOTOR recognises and respects the rights of its employees, with special consideration for their health and safety on the job. In its relationships with its customers, TECNOMOTOR offers products of high quality that meet the needs of the market and satisfy its customers’ requirements in a qualified and competent manner. To contribute to the development of the social community where it operates, TECNOMOTOR promotes people, research, innovation and social, educational and cultural growth; it ensures that its collaborations with the public, national and international authorities are open and complete. TECNOMOTOR promotes practices of sustainable development and environmental protection. For this reason, TECNOMOTOR promotes the adoption of environmentally-friendly production systems, even if this is not strictly required by the relevant regulations; this is done so as to limit the impact of production on the environment and as long as such a goal is financially and operationally sustainable. Fair and transparent information is a requirement that must be observed; matter of fact, TECNOMOTOR is aware of the importance of such an activity, especially in relation to its stakeholders, to third parties and to the market. When communicating with the market and its investors, the Company is respectful of information’s correctness and clarity. Mondolfo Ferro S.p.A. is committed to providing the most transparent communication as possible, both in its advertisements and manuals and in other means of communication (including product labels, brochures and user manuals), avoiding communications lacking transparency, ethics and correctness. In conducting its business, TECNOMOTOR adopts behaviours based upon corporate social responsibility, so to promote sustainable development that is respectful of the rights of all its stakeholders and of the environment. Such goals are considered when Company’s initiatives are conducted and all the sustainability parameters that aim at achieving the goal are adopted. In line with this, the Company encourages similar behaviours with regard to all parties it has had relational and economic ties with. In conducting business relations, TECNOMOTOR S.p.A collaborators and employees must follow the values set forth in this Code of Conduct. In a situation where a conflict of interest exists, the employees shall base their decisions on what is in the best interest of the Company. For that reason, the employees and the other parties of this Code must avoid any situation that could create a conflict between the Company’s interests and their personal interests, such as company relations with suppliers, customers, competitors, etc., and any situation where the existence of a personal interest may affect company decisions. The existence of any potential conflict of interest must be promptly notified to one’s manager. To avoid such situations, each employee must notify the personnel management of the existence of work with other parties or the presence of interests having an economic-financial nature, even if only in the abstract, which could have an influence on his or her conduct within the work conducted for the Company with regard to certain third parties. Mondolfo Ferro S.p.A. undertakes to act in the internal as well as eternal communications and relations with clarity, fairness and transparency. Its contents may be divulged by the Head of external communications, or by a specifically designated body, through press releases, speeches or any other authorised means. With regard to the appropriate regulatory authorities, or to the market, the information must only be presented by the specifically designated employees; the information must be clear and presented in a timely manner. Confidential information can be disclosed to third parties only with prior authorisation by the Company competent body. Realizing advertising campaigns and giving information about company's products, TECNOMOTOR must be sure that given data are correct and in accordance with regulations in force. It is absolutely forbidden by the Company to publish false information. If a violation of the Code of Ethics is ascertained, transmits the violation report and any appropriate suggestions either to the Company’s top management or to the Departments affected by the violation,depending on the seriousness of the violation. The Departments responsible for handling violations, taking into account the applicable statutes and the Company’s system of disciplinary actions, will then define the applicable penalties, implement them and report to the Entity with oversight authority. The Oversight Entity is responsible for reporting violations by Company Stakeholders to the Company Departments responsible for penalty enforcement and suggesting appropriate disciplinary actions. Mondolfo Ferro S.p.A. is committed to foster and ensure an appropriate understanding of the Code of Ethics and to disseminate knowledge of the Code among all interested parties, using the most effective methods, which include the Company website and targeted and effective communication initiatives. TECNOMOTOR will provide an effective training program and will strive on an ongoing basis to enhance awareness of the values contained in the Code of Ethics. The provisions set forth in this Code of Conduct are part of the duties that employees are expected to comply with under their employment contract. Violation of the rules of conduct set forth in this Code of Ethics, in addition to triggering the implementation of the system of disciplinary actions provided for in the Organization, Management and Control Model, could jeopardize the work contract obligations and produce legal consequences. The rules of this Code also bind third parties to the Company (i.e. suppliers, representatives, etc.). The violation of the Code committed by such parties may be considered as a breach of contract and, as a consequence, be a just cause for the termination of the contracts in force with TECNOMOTOR. Since 1995 Tecnomotor is partner of main European company to develop complete solution that satisfy the needs. This is a long job that include research the market needs, try to supply 2/3 different solution and verify with the partner the better solution also integrate the comment, develop this, cooperate to put the product in the market and organize the after sales support. Registro PILE IT09060P00000347 - Registro AEE N. IT08020000002814 - Capitale Sociale Euro 9.000.000 i.v.